How does Google understand text? 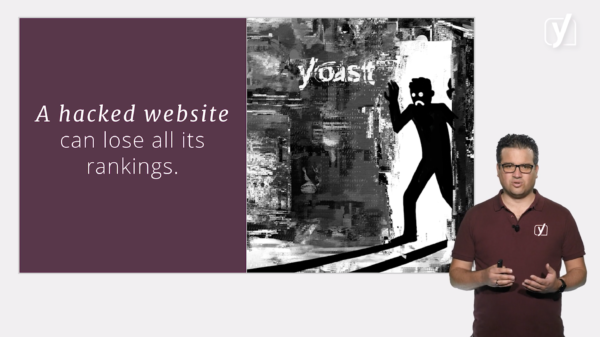 On Yoast.com, we talk a lot about writing and readability. We consider it a very important part of good SEO. Your text needs to satisfy your users’ needs. This, in turn, will help your rankings. However, we rarely talk about how Google and other search engines read and understand texts. In this post, we’ll explore what we know about how Google analyzes online text. Are we sure Google understands text? We know that Google understands text to some degree. Think about it: one of the most important things Google has to do is match what the user types into the search bar to a search result. User signals alone won’t help Google to do this. Moreover, we also know that it is possible to rank for a phrase that you don’t use in your text (although it’s still good practice to identify and use one or more specific keyphrases). So clearly, Google does something to actually read and assess your text in some way or another. I’m going to be honest. We don’t really know how Google understands texts. The information simply isn’t freely available. And we also know, judging from the search results, that a lot of work is still to be done. But there are some clues here and there that we can draw conclusions from. We know that Google has taken big steps when it comes to understanding context. We also know that it tries to determine how words and concepts are related to each other. How do we know this? On the one hand, by analyzing some of the patents Google has filed over the years. On the other hand, by considering how actual search results pages have changed. One interesting technique Google has filed patents for and worked on is called word embedding. I’ll save the details for another post, but the goal is basically to find out what words are closely related to other words. This is what happens: a computer program is fed a certain amount of text. It then analyzes the words in that text and determines what words tend to occur together. Then, it translates every word into a series of numbers. This allows the words to be represented as a point in space in a diagram, a scatter plot, for example. This diagram shows what words are related in what ways. More accurately, it shows the distance between words, sort of like a galaxy made up of words. So for example, a word like “keywords” would be much closer to “copywriting” in this space than it would be to “kitchen utensils”. Interestingly, you can do this not only for words, but for phrases, sentences and paragraphs as well. The bigger the data set you feed the program, the better it will be able to categorize and understand words and work out how they’re used and what they mean. And, what do you know, Google has a database of the entire internet. How’s that for a dataset? With a dataset like that, it’s possible to create reliable models that predict and assess the value of text and context. From word embeddings, it’s only a small step to the concept of related entities (see what I did there?). Let’s take a look at the search results to illustrate what related entities are. If you type in “types of pasta”, this is what you’ll see right at the top of the SERP: a heading called “pasta varieties”, with a number of rich cards that include a ton of different types of pasta. These pasta varieties are even subcategorized into “ribbon pasta”, “tubular pasta”, and several other subtypes of pasta. And there are lots and lots of similar SERPs that reflect the way words and concepts are related to each other. The related entities patent that Google has filed actually mentions the related entities index database. This is a database in which concepts or entities, like pasta, are stored. These entities also have characteristics. Lasagna, for example, is a pasta. It’s also made of dough. And it’s a food. Now, by analyzing the characteristics of entities, they can be grouped and categorized in all kinds of different ways. This allows Google to better understand how words are related, and, therefore, to better understand context. If Google understands context in some way or another, it’s likely to assess and judge context as well. The better your copy matches Google’s notion of the context, the better its chances. So thin copy with limited scope is going to be at a disadvantage. You’ll need to cover your topics exhaustively. And on a larger scale, covering related concepts and presenting a full body of work on your site will reinforce your authority on the topic you specialize in. Good readability (that is to say, making your text as easy-to-read as possible without compromising your message). Good structure (that is to say, adding clear subheadings and transitions). Good context (that is to say, adding clear explanations that show how what you’re saying relates to what is already known about a topic). The better you do, the easier your users and Google alike will understand your text and what it tries to achieve. Especially because Google seems to basically be trying to create a model that mimics the way us humans process language and information. And yes, adding your keyphrase to your text still helps Google to match your page to a query. In the end, the message is this: Google is trying to be, and becoming, more and more like an actual reader. By writing rich content which is well-structured and easy to read and is clearly embedded into the context of the topic at hand, you’ll improve your chances of doing well in the search results. The post How does Google understand text? appeared first on Yoast. New, newer, newest: the All-around SEO training! Yoast Academy has just released the All-around SEO training course! This course teaches you how to optimize every aspect of SEO. Content SEO, technical SEO, off-page SEO, image SEO… You name it, it’s included! And we’ll not only teach you the theory, but we’ll give you hands-on tips on how to tackle common real-life SEO problems as well. With this training, you’ll learn how to set up a proper, all-around SEO strategy! You can get the course for $169, but only in the first week, so don’t wait too long! What will I learn in the All-around SEO training? A lot! The All-around SEO training really helps you cover all your SEO bases. Let’s take a look at the topics that are included in this training. In this course, you’ll discover how to determine what keyphrases will drive traffic to your site. This training teaches you how to set up your own keyword research sheet, step-by-step. Moreover, we’ll walk you through all the steps of SEO copywriting. We’ll also show you how to set up or improve your own site structure, so your most important pages have the best chances of ranking. And you’ll learn how to optimize your images, both for your visitors and for search engines. The All-around SEO training teaches you how to improve your site speed, so your visitors don’t leave before they’ve even seen what you have to offer. Also, you’ll learn what structured data is, so you’ll know how to get those coveted rich results. In addition, you’ll learn how to make sure your site is secure, so your site won’t get hacked! This course also teaches you to look beyond your own site. You’ll learn how to make sure other sites link to your pages, so search engines see you deserve a higher ranking. Furthermore, you’ll learn how to keep your audience engaged with email marketing. You’ll also discover how social media can get you even more traffic. Finally, the All-around SEO training teaches you how to outsmart your competition by going beyond the usual SEO staples. We’ll teach you how to make sure you offer the best user experience, and how to get more customers or subscribers by conversion rate optimization. In addition, you’ll learn how to improve your site’s accessibility, so everyone is able to use your website, including people with a disability. The All-around SEO training consists of eight modules, which are divided into several lessons. Each lesson contains interesting videos, in which our SEO experts – like Marieke van de Rakt and Joost de Valk – explain everything you should know. We’ve also created reading materials, in which we explore topics more broadly and use different examples from the ones we use in the videos. To complete a lesson, you take a quiz. These quizzes test whether you understand the theory and if you’re able to apply this knowledge to realistic example cases. Once you’ve finished the course, you’ll get a certificate and a badge you can display on your website. Why should I take the All-around SEO training? If you want to get a head start in SEO, the All-around SEO training is for you. It teaches you about all SEO aspects – including topics that don’t get covered in the average SEO course, like email marketing, social media, UX and accessibility. The course even goes beyond the theory and teaches you useful and practical skills, so you can quickly improve the SEO of your site. It doesn’t matter whether you run a blog, online store, or another type of website – this course covers it all. If your goal is to make your site rank higher in the search results, the All-around SEO training is the right course for you. And just like every other Yoast Academy training course, the All-around SEO training is online and on-demand. This means you can do this course whenever you want, wherever you want. It’s all up to you! Get it before the offer expires! The All-around SEO training helps you improve all aspects of SEO on your site, so you can make your site rank higher in the search results. You can get the course by clicking the button below. It is temporarily discounted at $169 (that’s $30 off! ), so get it before the offer expires! The post New, newer, newest: the All-around SEO training! appeared first on Yoast.